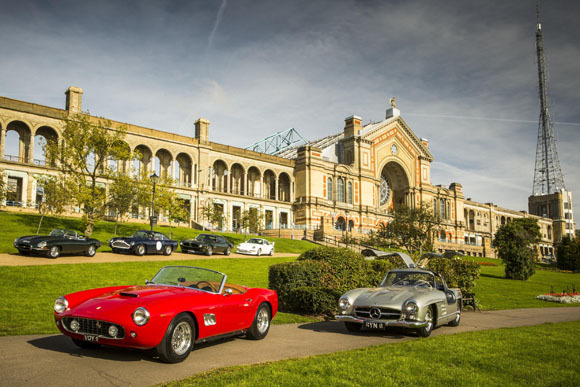 With less than a month until 300 classic cars descend on Alexandra Palace for Classic & Sports Car – The London Show, the show has assembled six iconic machines in front of Alexandra Palace previewing the main event, which will take place from 30th October to 1st November. 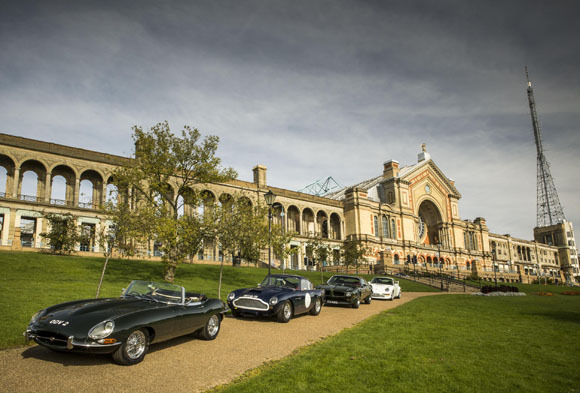 An Aston Martin DB4GT, Ferrari 250GT California Spider, Jaguar E-type Roadster, Mercedes-Benz 300SL ‘Gullwing’, 1973 Pontiac Trans Am and Porsche 993 Carrera RS appeared in all their glory outside Alexandra Palace, which first opened in 1873. 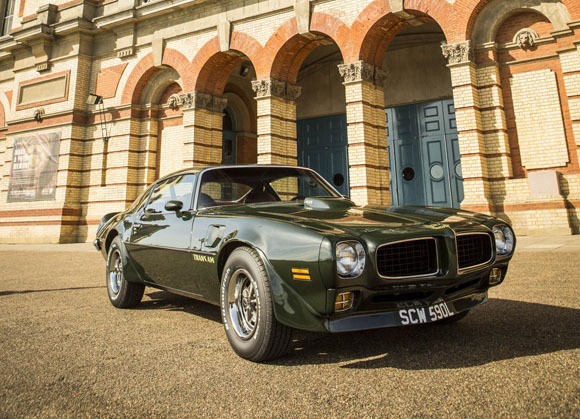 These stunning classics are just a small selection of the 300 or so cars to which visitors will be able to get up close at the event, thanks to stands featuring historic machines from world-famous collectors and world-renowned classic car retailers. Reflecting the show’s catch-all theme of ‘Best of British’, Classic & Sports Car – The London Show will reveal the Best British Car Ever, sponsored by Autoglym. Classic & Sports Car magazine asked a jury of more than 100 motoring experts – including McLaren F1 designer Gordon Murray, Lotus head of design Russell Carr and Pink Floyd drummer and car collector Nick Mason – to come up with the shortlist of 10 cars. Their nominations ranged from the affordable car that put the nation on wheels, the Austin Seven, to the McLaren F1, the most uncompromised high-performance car ever built. For stage two that shortlist (which also included the Range Rover, Lotus Seven, Jaguar XKSS, Rolls-Royce Silver Ghost, Ford GT40, Mini Cooper, Bentley Speed Six and Jaguar E-type) has been put to a public poll. The climax will come at Alexandra Palace when the people’s winner will be unveiled on a stand displaying all 10 cars from the shortlist, which have a combined value of a mammoth £30million! 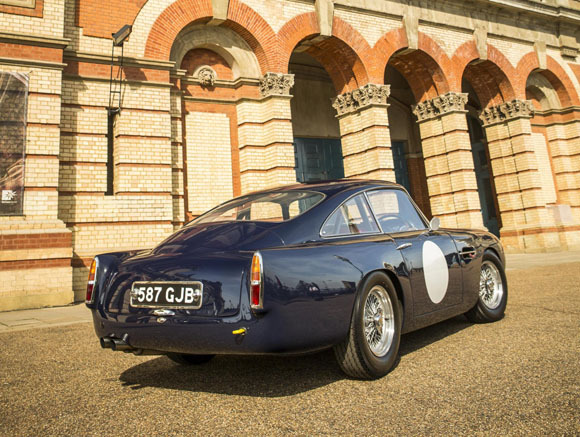 Revered British marque Aston Martin will feature prominently at the event. Aston Martin: The Story of an Icon partnered by EFG, will feature important cars spanning Aston’s 100-year-plus history. Thanks to the co-operation of the Aston Martin Heritage Trust, the oldest surviving car in the firm’s history, the 1921 ‘A3’, will be among them, as will the opposing bookend car, the DB9 GT. Visitors will also be able to feast their eyes on a rare DB MkIII, a V8, a DB7, a Vanquish and, of course, the best-loved Aston of all time: a silver birch DB5, a model immortalised by James Bond. 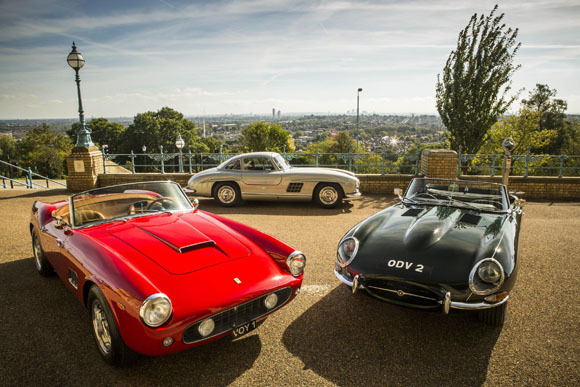 To celebrate the career of Britain’s most successful and best-loved racing driver, Sir Stirling Moss, Classic & Sports Car – The London Show has assembled a quartet of British single-seater racing cars with which ‘Mr Motor Racing’ enjoyed so much success during the 1950s and early-’60s. Among the stage guests sure to draw a crowd is legendary race car designer and F1 technical director Ross Brawn, business guru Sir John Egan, who rescued the crumbling Jaguar car company at the start of the 1980s, bespoke-car builder and star of TV show ‘For The Love of Cars’ Ant Anstead, former BBC Top Gear presenter Chris Goffey, ex-BMC and Ford competition department chief Stuart Turner, Coys auctioneer and star of TV’s The Classic Car Show Chris Routledge and former Grand Prix driver and Le Mans 24 Hours winner David Brabham, son of three-time world champion Sir Jack.